you’ve seen the ikea somnat crib we’re planning to get. 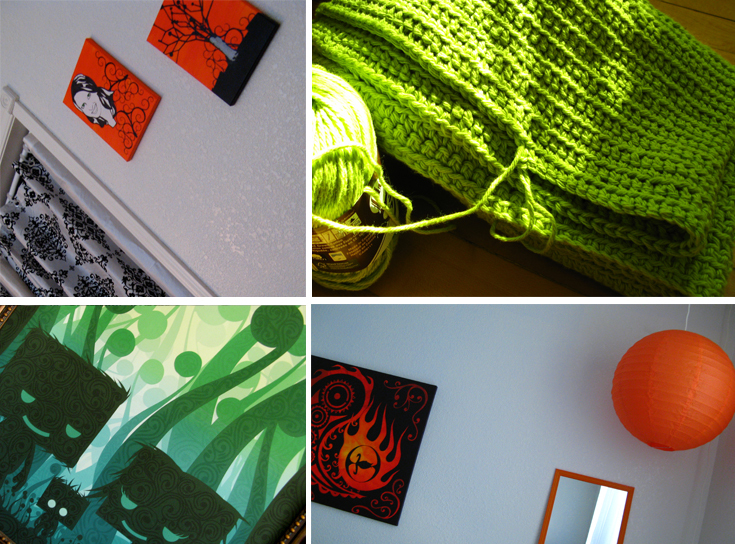 below is a little collage of the vibrant colours the crib will be joining. and stay tuned, because next up on the blog, i’ll be posting another in the ongoing series ::a collection of fotos found on flickr:: this time it will be all about (orange and green!) bunting and pendants, since i’ll soon be putting brush and scissors to paper to make a string or two myself!